We had a player from Glenhaven, Australia ask us about a common struggle many players have with their individual training. First of all, let me give you my individual experience to tell you how crucial individual training was to bettering myself from a local amateur player training with mixed ages and genders to 24-months later playing a 90-minute match with professional first teams and scoring a goal in a match we won 2-1. I was a late bloomer in my soccer career as I only took playing with high-level ambitions from age 16. 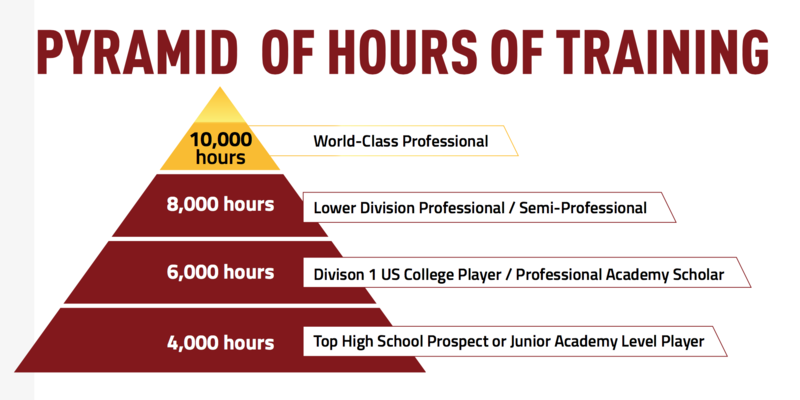 But from age 16 - 19 I trained at least 10 hours a week on my own on average. It didn't matter if it was rain, sunshine or in the pic above.. SNOW. I made sure to get all my extra touches, shots, passes and control in! So what made me take that early morning bus to school at 6am so I could use the pitch and get my practice in before classes started? If you always do the same as your teammates or opponents what will separate you from them? Team trainings to the 15 - 30 players in your squad aren't catered to YOUR individual strengths and weaknesses. Say you're a striker that really needs to work on your shooting power and accuracy. 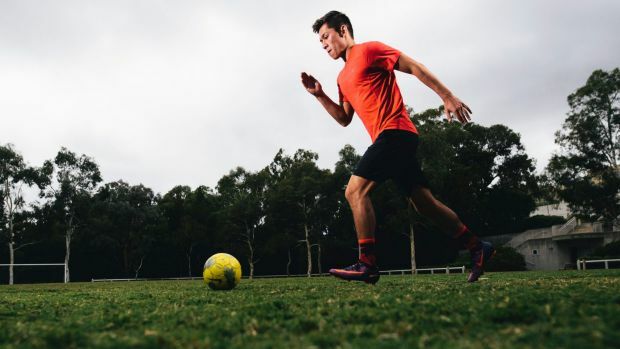 How many shots will you take in the average training? 10? 20? maybe 30 at most and thats if your coach includes a shooting component or not. Yet in a 45-minute Effective Finisher workout, you'll get at least 100 shots under your belt from various angles, positions and situations. Keep that up over weeks, months and years and that's how you separate yourself from the pack! The third reason might be the most important of all because its the science behind practice. This program was designed aiming to build up what scientists have called myelin, also known as the deep practice cell. 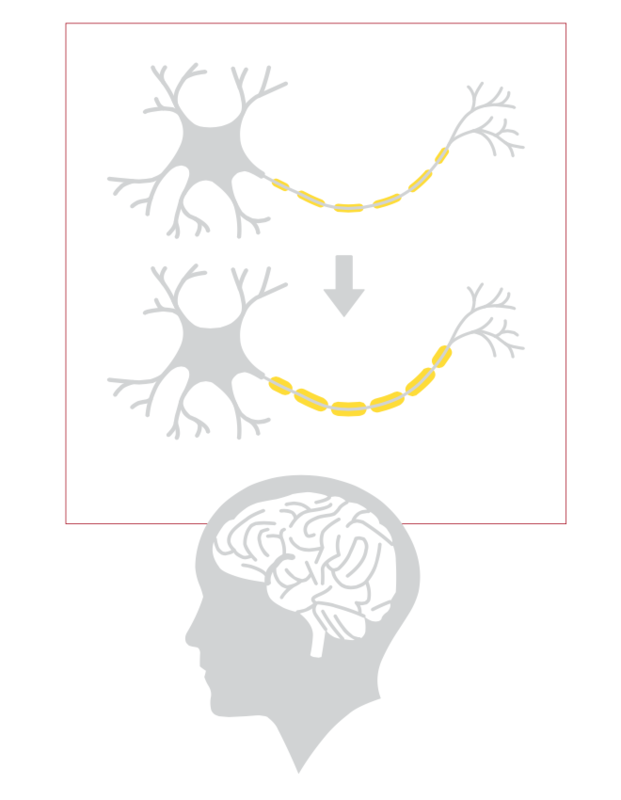 Myelin is a protective layer that insulates nerve fibers in your body and determines how fast and accurately electrons can go from one neuron to the next and therefore how good you are at performing the corresponding skill. Put simply, the more layers of myelin you acquire, the better you get. But when I screw up its SO de-motivating! Don't be de-motivated, its all part of the process! I think you should screwing up as MOTIVATION. Have a different mindset. Its fun to make mistakes in the beginning. It means you have the room and leverage to get better at something. Try the air control exercise and only get 1/10 times with a good first touch and a shot that goes in the goal. Cool! Now every time you do it as part of a workout, see if you can get it 2/10 times, then 3/10, etc until 3-months later you finally get 9/10! You will screw up. You will fail at times. Things will happen that don't make you feel the best. But this is just part of the process. Its part of the process and getting better. 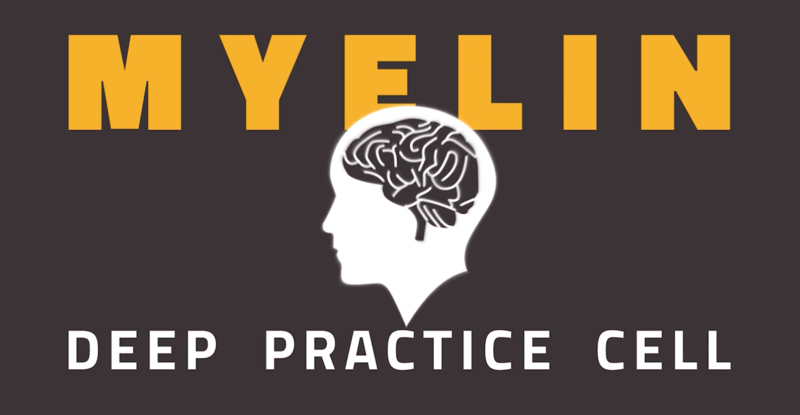 And every time you go out and practice and really deeply focus on improving, you will build myelin. To build myelin, Deep practice (which requires hard work, mental struggle, and extreme attention to detail) is required. Keep going and lets keep hustling! Hope this helps and as always, browse around the help section to continue learning about the things that will help you on your journey in football!